This kind of bargain doesn’t come around every day. By purchasing a Gold Package, you’ll get the benefit of placing a full-page ad in every publication Kansas Agribusiness Retailers Association produces, with the added bonus of your logo on our website and a digital ad in all 15 weeks of our Capitol Review. With our silver package you’ll receive the publicity of advertising in half of the publications Kansas Agribusiness Retailers Association produces every year, with the perk of your logo on our website and a seven-week Capitol Review email digital ad. A great deal to get your feet wet advertising with Kansas Agribusiness Retailers Association. 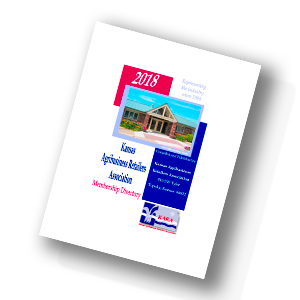 You’ll receive a half-page directory, two newsletter, three-week digital, a logo on our website and a full page annual meeting program advertisement with the purchase of a Bronze package. 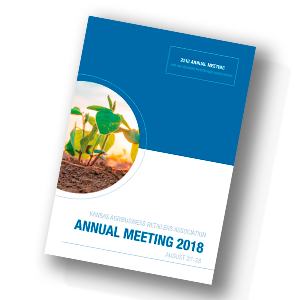 The one place nearly every decision maker involved in the Kansas agribusiness industry meets every single year. Put your organization in front of more than 120 sets of eyes every August. 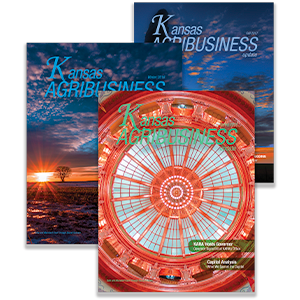 Kansas Agribusiness Retailers Association’s quarterly publication is mailed to 650+ agribusiness firms and emailed to 800+ individuals. Containing industry headlines, and legislative updates – this is the prime place to reach Kansas agribusiness professionals.